Time is one of humanity’s most precious assets. We not only have a limited amount of time to live, but it is the measure by which we go about our lives. Since time is so important, the keeping of time is a sacred and integral part of human history. Through this post, we’re going to go through the history of watches, starting with the clock-watches of the 16th century and moving onto luxury watches of the current day! The thing to remember is that as the time-line of watch history progresses, so does the nature of humankind’s relationship with them. At first, they were a highly convenient machine that could tell you the time whenever you needed it. They continued to get better and better at this job, until the time came that the time was all around us. These days you can find the time on screens of all sorts. Some say this is when the watch died, but it certainly has not. Watches are now an art form and a great luxury accessory for those who understand it. But we’ll get there. Let’s start at the beginning. The first ever watch-like mechanism was really a version of a clock that was made just small enough to carry around. These watches were first seen in history around 1530, the first year that archaeologists had discovered them. They were typically round cylindrical pieces of metal that were worn around the neck or, more rarely, carried in the pocket. It’s also important to note that these clock-watches only had an hour hand! Unfortunately, these clock-watches were famously flawed at actually keeping the time. They could, at any point in the day, be hours off from the actual time. No, functional timepieces these were not. They were basically luxurious accessories, much like the watches of today! Watches continued to be used in this form over function manner until technological advancements 150 years later. The balance and spring assembly represents the heart of the watch; it regulates the flow of time by means of the oscillations of the balance and is responsible for the accuracy of the watch. 1657 is when the watch really transforms from a stylish accessory to a functional timekeeping device. 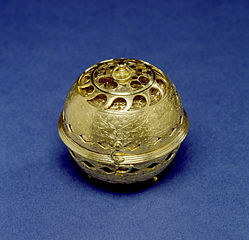 The issue with clock-watches and pocket-watches from 1500 to 1657 was that they used springs to keep the time. You wound them about twice per day and they would wind down until you rewound them again. Unfortunately, springs can’t maintain the same force as they wind down; they lose tension and their ability to track time is slowed. The entire beginning history of watches are plagued by this issue. But then came the invention of the balance spring which changed everything. 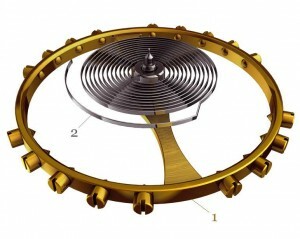 The balance spring made the wheel of the watch less susceptible to disturbances. It changed the margin of error found in watches from hours per day to a few minutes per day. And not only that, it allowed for the addition of the ever-important minute hand! Check out the image of the balance spring and other developments that occurred around this time for a better idea. Although really basic it should give you a bit of more info on the balance and spring function. Soon after the technological progress that was the balance spring, there was a huge stylistic shift in the way men wore watches. When Charles II of England introduced waistcoats to the English public, men changed the way they used watches. Where before watches had been worn as pendants by both men and women, the increasing popularity of the pocket in English waistcoats caused men to make the switch to the famous pocket-watches. Women continued to wear them as pendants until the 1900s. The 18th century European Enlightenment is infamous as a time of great scientific discovery and intellectual progress. Because watches were considered an up and coming scientific instrument in those times, it was heavily improved upon during this era. Most of these advancements were technological and slightly difficult to explain, but I’ll highlight a few of the main ones. The English began using diamonds as bearings that helped improve upon watch accuracy in the beginning of the 17th century, this was used only in England for a long time before it spread elsewhere. Additionally, watch-makers (otherwise referred to as horologists) began using lubricant in their craft. But the main Enlightenment advancement came in 1759 when a man named Thomas Mudge invented something called the lever escapement. It’s difficult to explain, but you can see a visual representation with this photo. It made watches even more accurate and became widely popular. But it also changed watch style because it allowed for thinner watches, leaving the bulbous watches of the past to be relegated to the poor as the rich started carrying these new, skinny pocket-watches. The huge changes in technological makeup of watches allowed for big changes in the 19th century. Around the middle of the 1800s, a big thing happened. Around 1854, Waltham Watch Company of Massachusetts began using interchangeable parts and assembly line technology to become the first company to begin mass producing watches. This is when horology really became as much an American industry as an English one. But it wasn’t just mass production of watches that occurred in the middle of the 1800s; the wristwatch was also invented by Patek Phillippe in 1868. They didn’t immediately become popular, but when they did, they did so in a gigantic way. The rise of wristwatches all began when they were mass produced and given to German navy members toward the end of the century. By World War I, almost every American soldier in the war was using them as a convenient way to keep hands-free time. After the war, pocket-watches were no longer in vogue; wristwatches outnumbered pocket-watches by fifty to one! Wind-able wristwatches were hugely popular from the 1930s until long after the second World War. They were fashionable, functional and a far cry from the defective pocket-watches of the past. But in 1957, watches became even more impressive when electricity was added to them. These electric watches really hit their stride around 1969 when quartz watches became widespread. Quarts watches were a huge hit because they were accurate to a T and you obviously didn’t have to wind them like watches of the past. While quartz watches did change things, nothing can compare to what is happening in modern day. Nobody uses watches for function anymore because the time is everywhere! It’s on cell phones, on the bottom right of computer screens, on the TV when you change the channel and on digital clocks everywhere. People say that the huge prevalence of timekeeping devices everywhere means that watches are irrelevant, but they couldn’t be more wrong! Read on to the next section for why watches are still as interesting and classic as ever. Making watches, or Horology, is not just about making a watch that tells pretty good time and looks cool. It’s about pushing the limits of technology to make the most accurate and stylish watch out there. Watchmaking has always been about pushing, creating and being original for the exclusive watch manufacturers. There have been great advancements in watches, especially now that Horologists have access to 21st century technology. That’s why watch collectors like myself still appreciate and see great things in certain watch brands out there. Brands like Vacheron Constantin, Patek Philippe, Panerai and Hublot have really pushed the limits and given watch collectors and connoisseurs a reason to keep collecting. With brands like these, and with the great watchmakers behind them, watches will never run out of time.